We know that you're shocked about time traveling to the future, Jennifer, but you can rest assured that everything will be okay: You’ve got a timeless and cool 80’s hairstyle that is cute no matter what year you’re in! Now you can have Jennifer Parker's bouncy hairstyle without spending hours in the salon getting your hair permed. 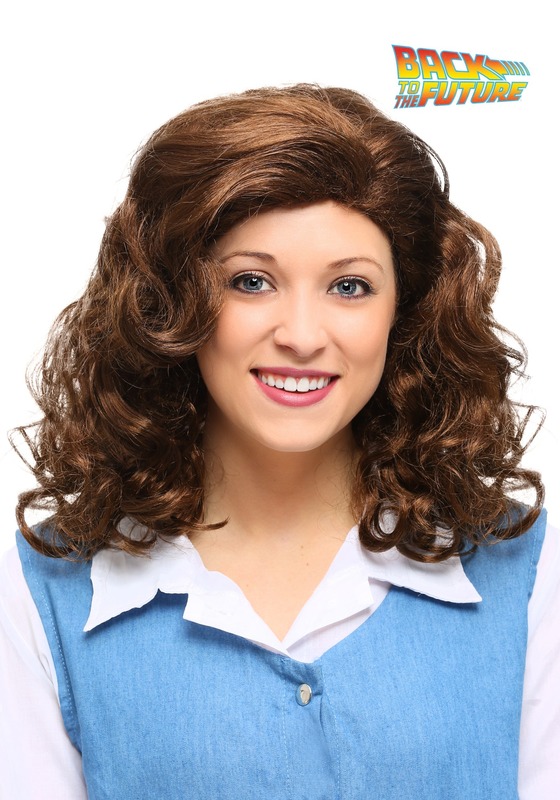 This officially licensed Back to the Future wig will give you soft ringlet curls that stop right above your shoulder. The beautiful brunette color of the hair is complimentary on all skin tones. Wear this wig the next time you step inside a time machine to guarantee that you'll have an adorable hairstyle whether its 1955, 2015 or 3015! Back to the Future and Back to the Future II are both a trademark and copyright of Universal Studios and U-Drive Joint Venture. Licensed by Universal Studios Licensing. All Rights Reserved.